Studies increasingly show that efforts toward occupant health and wellness pay back in a variety of ways, including reduced healthcare costs and employee sick days. When looking at a company’s overall costs, human capital, not real estate, is the largest expense. In a 30-year building life cycle, 92 percent of building costs are personnel costs. The reasons for investing in health and wellness programs vary depending on market sector, but all are directly related to the value of the building occupant. Some may see the improvement of employee productivity or reduction of absenteeism through healthy buildings as a significant return on investment. Others seek to attract and retain talent while reducing employee turnover. Some value higher leasing rates and building sales. And still others need to see the return on Wall Street. A Harvard study states that for every dollar spent on wellness programs, medical costs are decreased by $3.27 and absenteeism falls $2.73. In a 2012 workplace study, it was found that employees with high overall “well-being” have 41 percent lower health-related costs compared with employees who are struggling, while companies that implement wellness programs experience a 28 percent reduction in employee sick time. The benefits of improved employee health and wellness are tangible: a reduction in health care cost, number of sick days, and disability claims are all measurable metrics. However, there have been numerous studies to support the claims of “softer” measures such as employee morale, energy levels at work, and improved camaraderie. According to research from Dodge Data & Analytics, 69 percent of building owners who implemented healthy building strategies showed better employee satisfaction and engagement and directly correlated this with positive job performance and firm value. In today’s competitive job market, it is important for companies to attract and retain talent. Based on the 2014 Consumer Health Mindset Report, 52 percent of Millennials, the largest percentage of our workforce, say they prefer to work in an environment that is considered “healthy.” Approximately, 55 percent of all workers identified a workplace wellness program as instrumental in improving their overall well-being and job satisfaction. 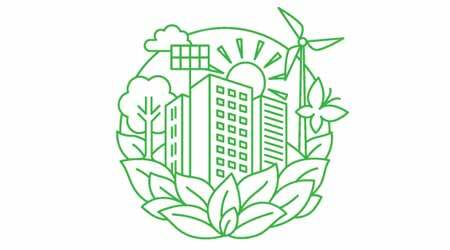 Years ago, a green building certification could set a building apart from others in the industry. Now, developers and brokers need a new differentiator, and that’s where WELL and Fitwel come in. John Mooz, senior managing director for Hines in Houston, was quoted in The Investor as saying, “buildings with healthy features could attract a rental premium of up to 20 percent.” According to the Urban Land Institute’s “Building for Wellness: The Business Case,” developers of healthy indoor environments, that support occupant well-being, reported better than expected sales and leasing. There is an obvious shift in the commercial real estate market occurring as health and wellness in the built environment plays a more prominent role in the design, construction, function, and maintenance of buildings. WELL and Fitwel are supporting this shift by providing a clear, concise, measurable, and marketable framework that will have an impact on all industry professionals. Not only does this market shift benefit the building end users, but health and wellness initiatives have been shown to provide a substantial return on investment for facilities managers and landlords. The same market that embraced green building rating systems, such as LEED and the Living Building Challenge, is now adopting this new phase of sustainability — human health and well-being. Krystal O’Hara (krystal@loraxllc.com), LEED AP BD+C, WELL AP, GGP is the managing director at Lorax Partnerships, LLC. Katie Fink (katie@loraxllc.com), LEED AP O+M, WELL AP is the business development manager at the firm.